The newborn child carries within him certain inherited traits. As he grows, these traits develop into elaborate and complicated patterns of reaction to the stimuli he encounters. These patterns are called Emotions. Examples of emotions are love, anger and fear. Emotions are an important part of a person and aid in this survival. They are the spark which can serve to mobilize his psychic and physical resources. Emotions may be used constructively in dealing with oneself and with others. However some emotions are not used constructively, but are given full rein or are unduly suppressed they may become destructive to the personality. The following emotions are constructive in their effect upon a person. An essential emotion in every person is love. It is one of the first needs a child has and is the basis for his physical and emotional security. Without love, the child, who must rely upon others for his needs, has no assurance of life. Children need the love of parents and of other children in the family. Parents need the love of each other and of their children. Adults need the love of their associates. In order for love a flourish there must be a setting of kindness, sympathy, unselfishness and tolerance. The absence of love in a person’s life can lead to unpleasant reactions on his part, such as daydreaming, cruelty or aggressive actions toward other people. A belief in and reliance upon some power outside oneself is another basic emotional need. Although individuals conceive this outside power in different ways. It is important for people to believe that the universe and the life in it exist for some useful purpose. The acceptance of this idea becomes an important element in maintaining emotional stability. A sense of personal worth and ability to perform as a useful person in society is another emotional need. Depending upon the situation, one attempts to satisfy this need by performing well scholastically, by doing a job well, by establishing a good home for one’s family or by taking part in activities that are of service to other people. 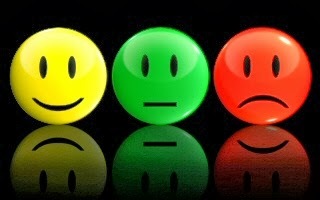 Failure to satisfy this need can lead the person to feel depressed and rejected by his family, friends or colleagues. A person will commonly find more satisfaction in one type of work than in another. Thus the area of endeavor to which he gives himself is of great importance. Various occupations have high social prestige at any given time. Others less prestigious may offer great satisfaction through their contribution to social welfare or to art. Each individual should try to choose an occupation in which he has special interests and abilities. If the person has emotional needs which go unsatisfied, he has to try to make adjustments for them. All of us at times fail to make sufficient adjustment and frustrations and unhappiness result. We react to these unsatisfied emotional needs with various negative emotions. Although a normal response to frustration, anger represents a primitive response. It is a “fight” instinct and represents the desire and perhaps the attempt, to aggressively settle an issue by destroying it, attacking it, killing it or in some other way trying to neutralize it. Although all human beings feel angry at times, it is necessary that angry reactions be controlled. If repressed, the anger may afflict us in some other manner. Thus it is important that we learn ways to direct those energies aroused by feelings of anger into constructive activities. A minor irritation may be “worked off” by playing a hard game of tennis, cleaning house or vigorously mowing the lawn. Another reaction to emotional frustration is the “flight” instinct or fear. Fear may be resorted to as a way of survival or it may represent the decision to try to evade an issue. Fears, if allowed to develop uncontrolled, can lead to over or under response to a situation-to panicking or to freezing up.